Configuration: Single Qi charging pad + dual USB charger. Echo Wireless fast charge module - 60mm (15W), 1.5m Starter lead – BS 13A. Echo Wireless fast charge module - 60mm (15W), 0.5m Starter lead – C Series. Dual Qi charging pad + dual USB charger. 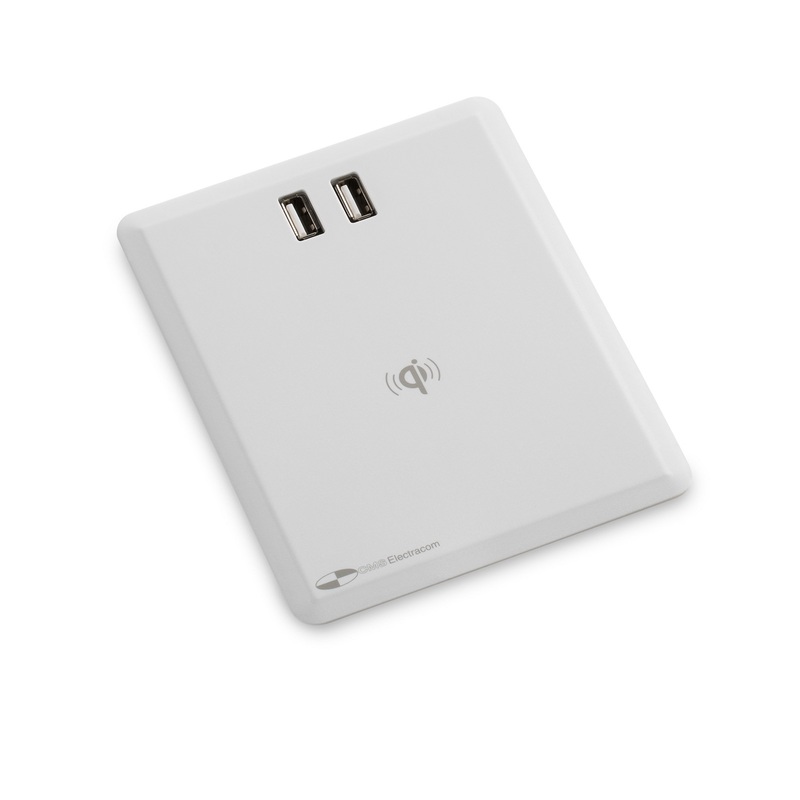 Single Qi charging pad + dual USB charger. Colours -WT** (White) or BK** (Black).